battle to protect the peace. 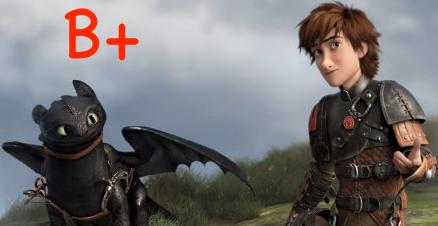 The sequel to How To Train Your Dragon is itself a fantastic production from DreamWorks Animation, giving us both a backstory and augmentation to the lovely events that preceded it. It's a surefire crowd-pleaser. This one features new dragons, some twisty new protagonists, and a new fiercesome competing tribe led by a ruthless conquerer (Djimon Hounsou, voice) who seeks to subvert dragon powers for his own dictatorial purposes, and the emergence of Hiccup's mother (Cate Blanchette, voice). It's nearly everything a sequel should be, minus some not so soothing pacing, and what seems to be more of a teenaged appeal. This one doesn't quite offer up the succinct focus as what we received the first time around, but the adorable characters remain as enchanting as ever.